It’s December, it’s absolutely freezing outside and I’m currently tucked up in bed writing this post. 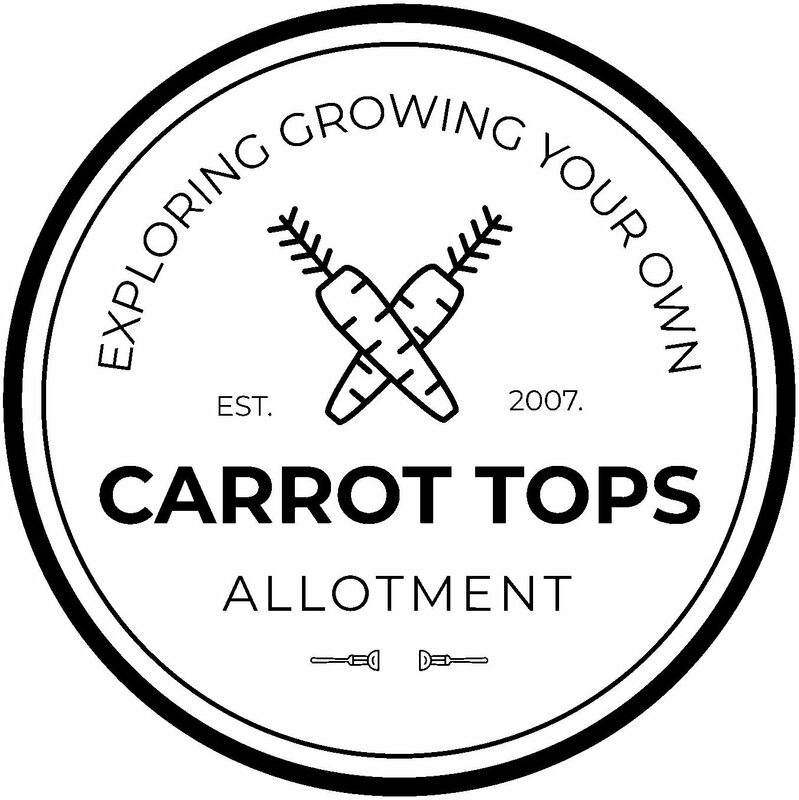 I’m debating on whether to go the allotment – and I’m wondering what I’m going to do when I’m there as the ground is frozen, and there’s very little growing. If you’re a fair weather gardener and you want to get outside and get going, but the the baltic temperatures are putting you off – here are ten things you can do for your garden or allotment when it’s absolutely freezing outside. Seed strips help to keep all of your plants in a nice neat row. You then plant the strip, the seeds grow and eventually the strip rots into the ground. You can buy these in the the garden centre, but they’re so easy to make at home. Making seed starter pots is dead easy and there’s a lot of material online about how you can do this from either old newspapers or toilet rolls. It’s a bit of a process so definitely something worth doing when the weather isn’t to your liking. 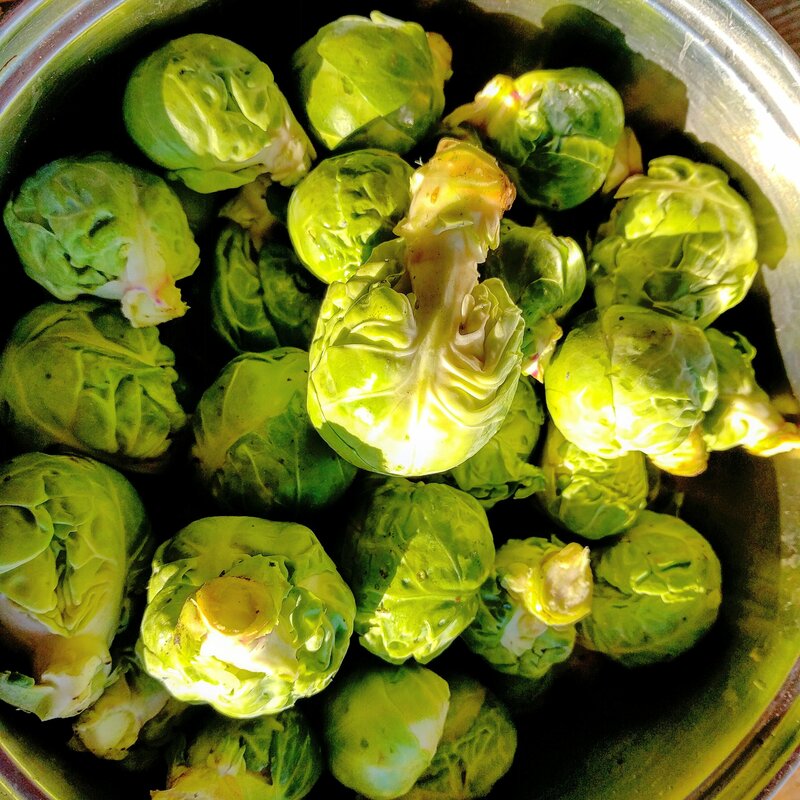 Believe it or not, Brussels sprouts are best if you’ve had a chill overnight. They’re most likely one of the last things you’ll pick in the garden. Lower temperatures will encourage your plants to produce sugars meaning your sprouts will take on a sweeter taste. Put the kettle on, get your books out and decide what you would like to grow and where. Many gardeners I know draw out their plots on paper and scribble down some ideas. How did you fair over the last year? Now is a good time to reflect and improve for next year. 2018 is my year to be more eco friendly, I’m going to be using less plastic, walk more and look into some eco friendly or homemade solutions to use in the garden. There are loads of recipes online for eco friendly pesticides and weed killers to suit your needs – go on, give it a Google. Economical use of water is a great thing to focus on and homemade drip feeders are a great way of recycling wine bottles, milk cartons and plastic bottles to. We all have successes and failures in the garden, what makes us a better gardener is understanding why some things work and why some things don’t. We are at the mercy of nature, so it’s good to do a little bit of research if you can. I love the smell of fresh seeds in the morning… It smells like…(enter your own ending here!). If you’ve planned you garden for next year (point 4) what better to cement that commitment than to order your seeds. I love a bonfire! No matter what you get up to outside in the cold weather, light a match, stay warm and get rid some of the wood and other burnable material you’ve been meaning to get rid of all year. Remember to wrap up warm folks and have fun! Are you still watching Gardener’s World? Great tips, Adam. Based on what we’re likely to be doing at work for the rest of the month, I’d add cleaning your pots and scrubbing down plant labels to the list as well.